Kate Beaton was the token (honorary?) cartoonist at this year’s Vancouver International Writers and Readers Festival. And we have an autographed poster to give away (see below). 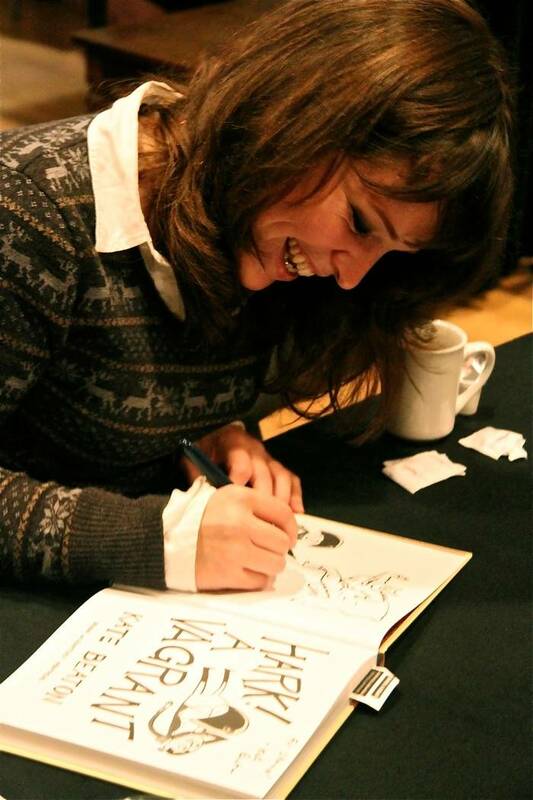 Originally from Cape Breton, the artist/writer/history student is the creator of the website and comic strip Hark! 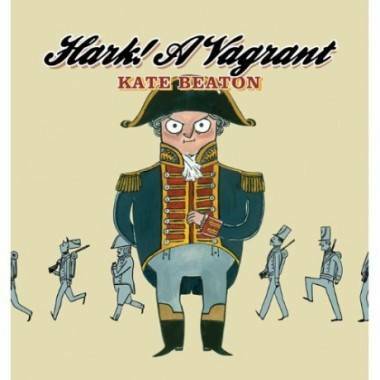 A Vagrant, which was recently collected into book form by Montreal publisher Drawn & Quarterly. Beaton’s comic strips depict historical figures in compromising positions; she has witty and irreverent fun with everyone from Canadian historical “heroes” to Nancy Drew to Batman. For some reason, Beaton has really connected with women in their early-to-mid-twenties, at least judging by the long line of autograph-seekers following the interview with her conducted by CBC radio personality Bill Richardson. Their 30-minute chat was sandwiched between Richardson’s talks with author Helen Oyeyemi (Mr. Fox) and Canadian essayist Barry Callaghan. Beaton talked about drawing and writing, her fascination with Nancy Drew (“I made her a psychopath”), growing up in Cape Breton and Canada’s skewed historical perspective on supposed heroes like generals Brock and Montcalm. She had nice things to say about Lester Pearson, though. 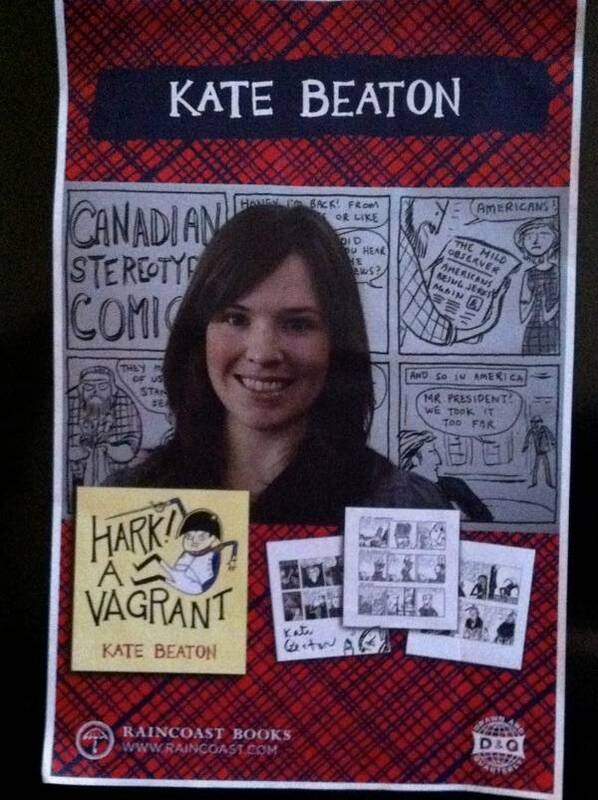 Contest – Win this autographed Kate Beaton poster! Simply leave a comment below to enter. We’ll make the draw this Friday, Oct 28 at noon (PST). This entry was posted in Comics and graphic novels and tagged books, comics, interviews, Kate Beaton, Vancouver. Bookmark the permalink. Kate Beacon was in town? Damn, I’m sad I missed it. I love Hark! A Vargrant. I’ll fight you for that poster, Alex! Upset about missing Kate, I wanted to talk to her about 1812, and John A. as well.